Silas H. Rhodes, chairman of the School of Visual Arts in New York City, died last Thursday at 91. He was a progressive educator who established a uniquely collaborative learning environment that delicately balanced creative independence with academic rigor. He was also a huge figure who never aggressively sought the limelight but instead preferred to devote his entire energy to education  and his school. In doing so he touched many lives in incalculable ways. I was one of them. I was a NYU and SVA drop-out, but when, after a couple of years, I returned to SVA as a teacher not an eyebrow was raised. Over the years, in fact, Rhodes warmly embraced, indeed honored, me by commissioning essays for various publications and ultimately asking me to organize a major educational conference ("How We Learn What We Learn") pegged to the college's Fiftieth Anniversary. The greatest demonstration of his trust was when he asked me to co-found the MFA Design Program (which I co-chair with Lita Talarico). Suffice to say that it was something of a risk placing such an important task in the hands of one without academic credentials. But Rhodes' instincts and generosity to many of his faculty members knew few bounds. It is with this disclosure  and the admitted shock of his passing still fresh in my mind (all who knew him thought he would live forever) that I offer this summary of a pioneering life. 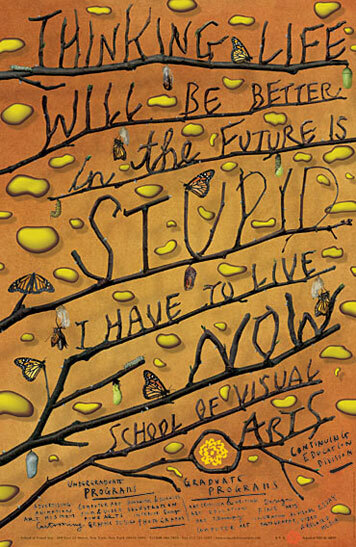 "By and large, art schools have tended to ignore the moral and intellectual implications of education... For the professional art school to fulfill its moral obligations and for industry to receive artists who are not illiterate in their own language and ignorant of any other... we need an art education that is both visual (the making of images and ideas through art) and verbal (the understanding and making of images through words)." Before fashionable isms and otics were introduced to the pedagogies of art and design, photography and film, Rhodes wrote "an education which devotes itself primarily to the achievement of vocational competence on the part of its students neglects too much." So he gathered advisors and faculty  experienced practitioners drawn from New York's ateliers, studios, firms and agencies, among them Robert Weaver, Milton Glaser, George Tscherny - who were charged first and foremost with "educating artists for communication" rather than simply training technicians for the daily grind. As the school grew out of its Civil War-era building on East 23rd Street into the former NYU Dental College a few yards west of it, new departments were added, including Graphic Design and Advertising, which precipitously swelled with World War II veterans who were afforded subsidized educations on the GI Bill. As the school expanded so did Rhodes' strategies for learning, including the concept of team teaching, and a system of academic advisors instead of deans. Tenure was never an issue: teachers who wanted to teach  and were effective in their specialties  never had to worry about the conventional academic bureaucracies. Some teachers were responsible for requisite courses, while others were encouraged to individualize their classes  idiosyncrasy was encouraged and valued. Early on, humanities courses were given near-equal partnership with studio courses, and Rhodes taught many of these courses for decades. One of his proudest accomplishments, however, came in 1972 when he succeeded in having the School of Visual Arts authorized by the New York State Board of Regents to confer the degree of Bachelor of Fine Arts in Film, Fine Arts, Media Arts and Photography. SVA was the first and only four-year proprietary school to receive such an authorization. By June 1978, he also had the College accredited by the Middle States Association of Colleges and Secondary Schools, another first for a proprietary school. Subsequently, under his stewardship, the first graduate programs were launched. Under Rhodes watchful eyes, even after he relinquished his role as president to his son, David Rhodes, he made certain the college fulfilled its moral obligation: "Art is not an affair of the heart alone," he wrote. "It is the persistent myth of the noble savage which refuses to see in the creation of a poster a work of intellect." Towards this end he established and became president of the Visual Arts Foundation Inc., a not-for-profit organization that advances the arts as both individual vocation and social force. The Foundation long supports emerging artists and continues to foster a climate that values and seeks understanding of the arts; and increases visual literacy and appreciation for "the artist's life." He also became director of international studies for schools in Morocco (1979), Ireland (1980), and Italy (1985). In 1970, he established the Visual Arts Press, the design studio for the School; he remained its creative director until he died. In addition he was creative director for the College's most visible and highly regarded works, the promotional posters created for display in the New York City subways for over 50 years. SVA subway poster art directed by Silas Rhodes, designed by Stefan Sagmeister, 2002. In 1987, as a part of the SVA's Fortieth Anniversary celebration, Rhodes established the Masters Series Award, which honors a visual communicator who has created a significant body of work in his or her field. Past Masters Series Laureates have included Paul Rand, Milton Glaser, Saul Bass, Ivan Chermayeff, Seymour Chwast, Paul Davis, Lou Dorfsman, Heinz Edelmann, Shigeo Fukuda, George Lois, Mary Ellen Mark, Duane Michals, Paula Scher, Deborah Sussman, George Tscherny and Massimo Vignelli. An archive was subsequently established to preserve the work of many of these masters. Some of Rhodes' other innovations at SVA include intensive master classes with designers like Milton Glaser; a gallery in SoHo for students; supporting classroom projects that produced lasting, entrepreneurial accomplishments (like New York magazine, which stemmed from an SVA class taught by Glaser and Clay Felker). He was never content to accept the status quo, and always embraced new ideas for programs and events offered by staff and faculty. A veteran of WWII, Rhodes was very politically minded. In the 1930s he was a member of the Communist Party but left after Stalin's show trials became public. Immediately after Pearl Harbor he attempted to join the Marines but was denied, so instead he entered the Army Air Force as a volunteer member of the 1st Air Commando Group, and was awarded the Distinguished Flying Cross with Oak Leaf Cluster. This group was celebrated in Milton Caniff's Terry and the Pirates adventure comic strip and was source material for Objective, Burma!, the Warner Brothers motion picture staring Errol Flynn. In 1956 he and Burne Hogarth were called before a senate committee investigating Communist influence on vocational education. Adamantly refusing to testify or "name names" they provoked the ire of Senator Joseph McCarthy, who had his counsel Robert Kennedy audit the school in order to disallow all GI Bill tuitions. The dispute was later settled in favor of SVA in the courts. Rhodes received a BS from Long Island University and a PhD in literature from Columbia University. Articles he has written have appeared in Graphis and the Society of Illustrators Annual. He has won over 100 awards from various professional groups and organizations including the Society of Illustrators and The One Club. 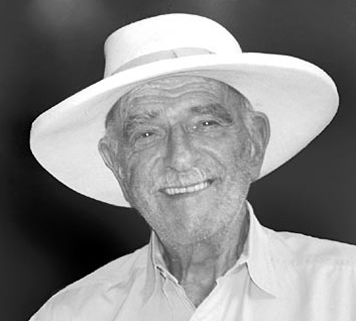 In 1988, he was inducted into the Art Directors Club Hall of Fame. In 2004, the AIGA gave Rhodes its highest honor, the Design Leadership Award. And in 2006, he received an honorary doctorate of Fine Arts from the Maryland Institute College of Art. The School of Visual Arts was never just a collection of buildings or gaggle of classes, but a vital community that Rhodes fervently encouraged  a decidedly difficult goal to achieve for an "urban campus" spread across many city blocks. But he nonetheless created an environment where this ideal flourished and, in turn, has impacted thousands of faculty and graduates  and the worlds of art and design in general. Only a few weeks ago Silas Rhodes, who was so clearly on top of his game until the end, remarked to me how happy he was that so many students returned as teachers and so many of the faculty have stayed loyal to the school. If this isn't a testament to his vision, I don't know what is. 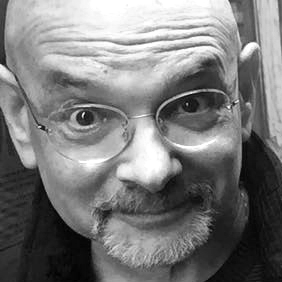 Steven Heller is co-chair of SVA's MFA Designer as Author Program and editor of AIGA Voice. Heller is currently writing Iron Fists: Branding the Totalitarian State to be published by Phaidon Press in 2008. His website is hellerbooks.com. What an excellent tribute, Steve, and thanks for the education on the origins of SVA - Rhodes accomplished a lot in a lifetime. It's truly inspiring. As a current student of SVAin the graphic design program, it was interesting to learn some information about the school and mr. rhodes that i never knew. i never got a chance to meet him, but he sounded like a great man, would of been something to get the chance to pick his brain. Another accomplishment that Mr. Rhodes achived during his career, was to share his vision across the world. Many students from almost every corner of the globe were inspired by his ideas. I am one of them. silas was a quiet presence during my twenty seven year and ongoing tenure at the school of visual arts. though his voice was not often heard, his philosophy and support of artistry always was. i have known for sometime that i work for the very best college and for a man with the highest ideals. much gratitude and happiness to you, silas. please do come back to visit now and again. if the inclination strikes you.